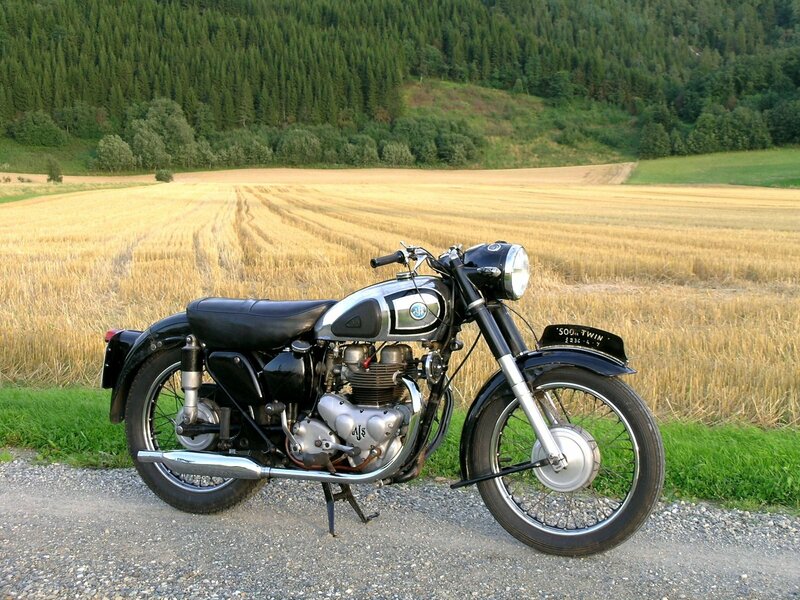 The bike is in completely original, non-restored, condition. 26 Dec 2005 This stirs a few memories - I borrowed an identical machine from a friend to visit a girlfriend 150 miles away in 1964! Happy days! 15 Oct 2008 Superb machine,superbly photographed. Presume from somewhere in the Trondheim area. Being in Norway obviously suits your "Springtwin". 10 Nov 2008 As an retired photographer I must complement you on the picture, not only is the setting superb, the bike looks great. 18 Mar 2009 Veldig fint motorsykkel !! 13 Jul 2010 spectacular shot and such a smart looking bike, very nice, jealous now, lol. 05 Dec 2010 Really nice shot.